New research reveals more Americans than ever admit to not just trying cannabis, but also admitting to being daily consumers. What was once an act conducted in secrecy, smoking cannabis is now more widely accepted than most other substances, including cigarettes. Consumers are no longer afraid to discuss their enjoyment, thanks in large part to the sweeping number of states that have legalized the plant over the last decade. New research reveals more Americans than ever admit to not just trying cannabis, but also being a daily consumer. For the last 48 years, a national polling company called Gallop has been keeping track of the numbers surrounding everything to do with cannabis use, including how many Americans have tried, how many smoke daily and what is most affecting the continued increase in these numbers. The most recent poll, conducted in July 2017, revealed higher numbers than ever before. 45% of Americans admit to trying cannabis at least once in their life. If we compare these number to the 2016 U.S. Census Bureau, that 45% translates to about 112 million people. When Gallop began their study back in 1969, only 4% of those polled admitted to every trying cannabis. Between the mid-1980’s and 2010, the number remained relatively stagnant, aside from a rise to 34% in 1999, coinciding with the passing of the first medical cannabis laws, California’s compassionate care act, Prop 215. Similarly, the number of users who admit to daily consumption is rising. 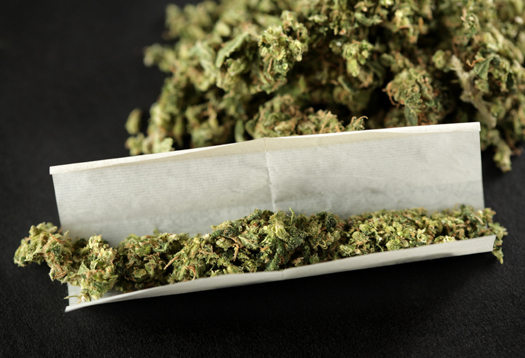 In 2013, only 7% of those polled admitted to using cannabis on a somewhat regular basis. On the most recent poll, 12% said they use cannabis regularly or even daily. While 12% might not seem like a lot, it means roughly one out of every eight Americans enjoys cannabis frequently. When the numbers are broken down that way, it paints a clear picture of more Americans than ever sparking up either for medical or recreational purposes. Why the sudden rise in cannabis use? The simplest and most likely reason for the spike in Gallop’s 2017 poll is legalization. Legalization of both recreation and medical use helps to discredit harmful stereotypes that have come to surround cannabis and its users. Citizens feel more comfortable discussing their use when the fear of government prosecution is removed. Legalization has also provided for easy access to cannabis through dispensaries and doctors. There’s no need to meet an illegal street dealer, which removes a lot of the fear many have for trying cannabis. When the cannabis is coming from a store, consumers are much more likely to feel secure with their purchase. Likewise, customers now have more options than ever on how they wish to consume their cannabis. The options are no longer limited to dried flowers, thanks to edibles, oils and concentrates. Even topical ointments exist for the purpose of reducing muscle and joint pain. Many medical consumers don’t want to feel the psychedelic effects of cannabis, now they have options that allow them to receive the benefits without the high. In states like Colorado, where the taxes generated from legal cannabis sales have literally changed the face of the entire state, consumers know the money they spend on cannabis isn’t going to line pockets of a criminal, but rather helping to provide homeless shelters and parks for children.